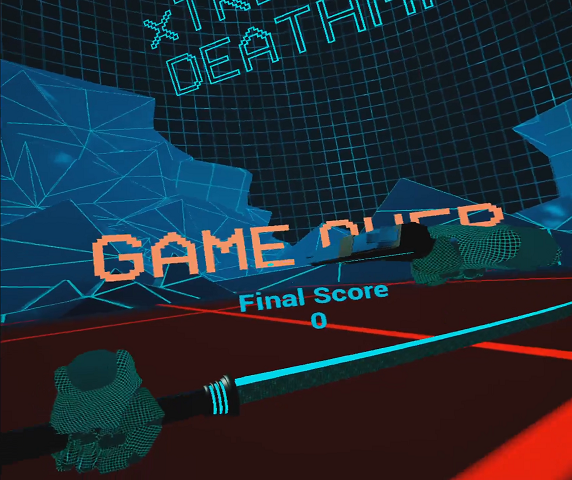 Xtreme Pogo Deathmatch is a standing VR experience created for the 2017 Unreal Spring Jam with the theme "Spring into action". 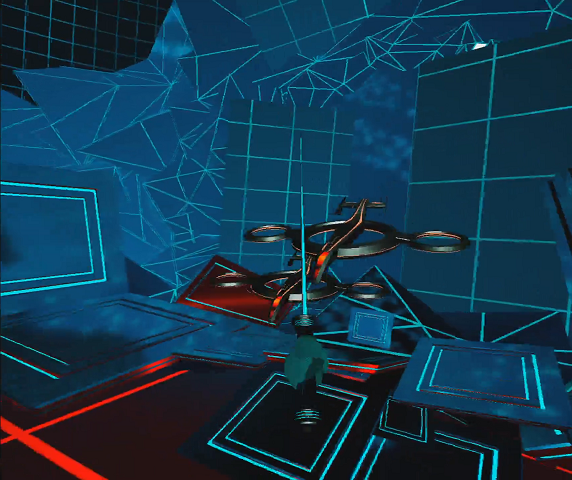 It is a wave based shooter-platformer where you must destroy as many enemy drones as possible whilst avoiding enemy fire and staying on the floating arena. Oh, and you're on a pogo stick. Note: This game was developed and tested for the HTC Vive. 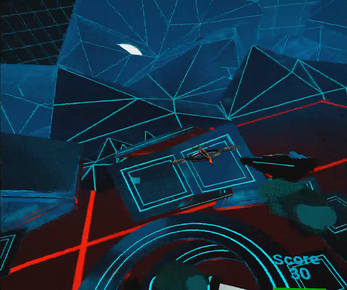 You can play the game with the Oculus Rift, but you may experience visual or positional tracking bugs. 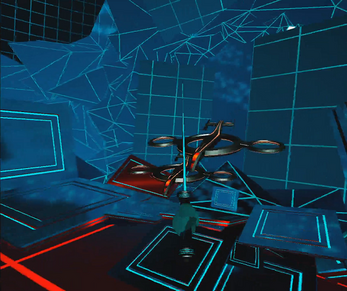 We recommend playing on an HTC Vive. Hold the trigger on either pogo handle to grab it and start the game. 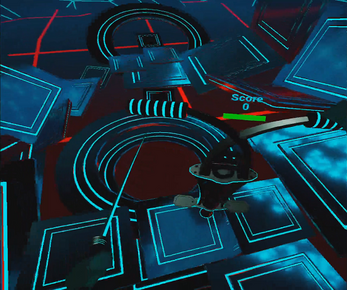 Releasing the trigger drops the pogo stick and allows weapon use for the hand that was grabbing it. Press the trigger on the laser pistol hand to fire the pistol. Destroy drones with your sword or pistol (or have them shoot each other) to gain points. Use your pogo stick and the surrounding platforms to avoid enemy fire. Your health bar can bee seen on the pogo stick. Lose all of your health or fall off of the arena and it's game over! The game will automatically restart. Try to beat your high score!